Shop online for 143 circuitron model trains at discounts up to 23%. Lighting / Electrical is the most popular of the 4 circuitron model trains categories, then Trackside Accessories, and Track / Accessories. This is the FL-2 Alternating Flasher Circuit Board for detection units from Circuitron. This is the HO Scale QCN Solderless Connectors Non-Insulated (8) from Circuitron. 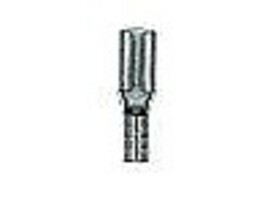 This is the HO Scale QCI Solderless Connectors Insulated (6) from Circuitron. 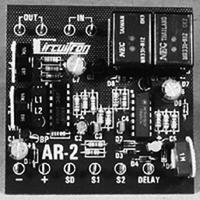 This is the AR-2 Automatic Reverse with Adjustable Delay from Circuitron. This is the Opto-Sensor - pkg(6) from Circuitron. This is the Snapper Switch Machine Power Supply from Circuitron. This is the The Tortoise(TM) Switch Machine pkg(6) from Circuitron. 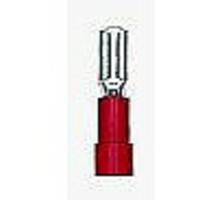 This is the 7441 General Purpose Lamps High Output 60ma (25 Pack) Model Railroad Light Bulb by Circuitron. This is the DF-1 Grade Crossing Detector w/Flasher from Circuitron. This is the DT-2 Grade Crossing Detection Unit from Circuitron. This is the DT-4 Rolling Stock Detector from Circuitron. This is the HO Scale OS2 Opto-Sensors (2) from Circuitron. This is the AR-1 Automatic Reversing Circuit from Circuitron. This is the HO Scale AC Adapter from Circuitron. This is the HO Scale FL-2HD Alternating Flasher from Circuitron. This is the End-Of-Train Flasher Red Light Model Railroad Electrical Accessory by Circuitron. This is the DT-3 Single-Direction Grade Crossing Detection Unit from Circuitron. This is the BD-1 Optical Detector from Circuitron. This is the Gate/Semaphore Actuator Drive Mechanism w/Cable & Actuator from Circuitron.